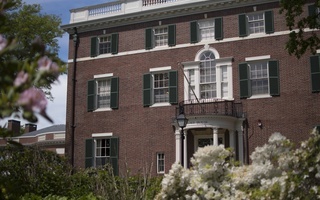 Harvard’s Advisory Committee on Shareholder Responsibility — made up of alumni, faculty, and students — and its Corporation Committee on Shareholder Responsibility, which can accept or reject the advisory committee’s recommendations, vote annually on a series of proposals to companies of which the University is a shareholder in order to communicate its interests. Law professor Howell E. Jackson chaired the 2018 advisory committee, and Senior Fellow of the Harvard Corporation — the University’s highest governing body — William F. Lee ’72 chaired the Corporation committee. University Treasurer Paul J. Finnegan ’75 and Corporation members Jessica T. Mathews ’67 and Shirley M. Tilghman also served on the Corporation committee. The committees considered both new issues and proposal topics that have come up in the past, including corporate political spending, executive compensation, and environmental issues. The advisory committee, for example, supported nine similar proposals asking companies to report on their lobbying activities. Since the Supreme Court’s ruling on Citizens United v. Federal Election Commission in 2010, a large number of proposals have related to corporate lobbying and campaign spending, according to the report. “Committee members commented that it is in shareholders’ best interests to understand companies’ political spending, in part because of potential reputational risks,” the report reads. During last year’s shareholder voting period, Harvard endorsed a proposal asking Wells Fargo to produce a report about its approach to indigenous peoples’ rights. This year, Harvard also backed a proposal for Citigroup to establish an indigenous peoples’ rights policy. Harvard also considered several proposals regarding environmental issues. One proposal asked Chevron to examine its business model “to align with a decarbonizing economy” by shifting away from fossil fuels. 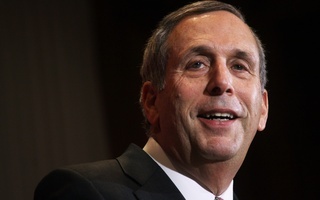 Over the past year activists have ramped up efforts to convince Harvard to fully divest itself from fossil fuels, but University President Lawrence S. Bacow has joined his predecessors in continuing to reject their demands. The two committees did not consider any proposals directly calling on companies to eliminate their fossil fuel ties. The committee also weighed in on new issues this year, including social media data privacy and corporate taxation. Harvard cited news reports about the role of fake news in the 2016 United States Presidential election as part of the committees’ decision to vote in favor of the proposal. The advisory committee recommended against the proposal, pointing to recent changes in federal corporate tax law. The committee also argued that as shareholders in the company, “it makes little sense to expect a company to pay more taxes than current law requires.” The Corporation committee agreed, casting Harvard’s vote in opposition. In total, the committees considered 38 proposals in 2018, the fewest since 2011. An additional eight proposals were submitted after the advisory committee concluded its meetings, so the Corporation committee voted according to previous years’ precedents or abstained if there was no earlier decision to follow. Last year, the advisory committee voted on 44 proposals. The two committees agreed on 34 of the 38 proposals the advisory committee considered, and the Corporation committee abstained on the four proposals where the advisory committee was split. The Harvard Corporation also considered proposals on greenhouse gas emissions, disparities in pay between men and women in the workplace, and private defense contracts in Israel.